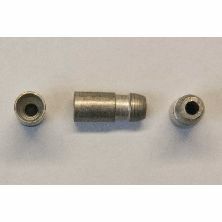 Bullet terminal tinned brass; intended specifically for braided cloth insulated wire. This terminal is designed to be crimped onto the conductor (wire) but can be solders too if desired, it has a 1.16mm diameter conductor hole for 14/.025mm or 9/.03mm (0.65 mm²) wire. There is no reduced diameter at the tail of the terminal as the thickness of braded cloth insulation makes this impractical. The following 6 terminals are designed to be crimped onto the wire but can be solders too if desired. The following terminal can only be soldered. 003632 3mm diameter conductor hole. 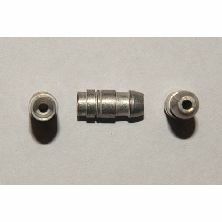 As this is a soldered part it can be used on any conductor that will fit into it. The following terminal is neither soldered nor crimped. 27H6713 Bullet terminal push on type for Lucas lamps. This type of terminal is used on Lucas lamps to connect the wires without soldering or crimping. 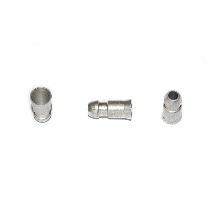 It is essential that the crimp type bullets are installed on the wire correctly. Please refer to technical instruction number 27 below for a step by step instruction. 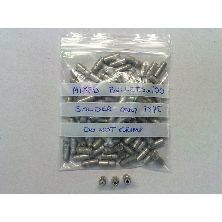 We also supply a mixed bag of 100 bullets suitable for soldering at a much reduced price. See RTR5510. 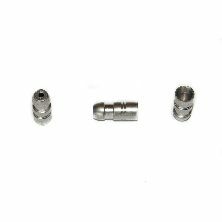 Revington TR information: Bullet terminal tinned brass; intended specifically for 14/.03mm (1.0mm²) wire braided cloth insulated wire. 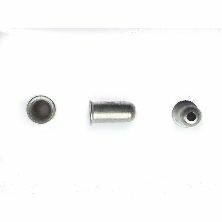 Revington TR information: Bullet terminal tinned brass; intended specifically for 14/030 PVC insulated wire. 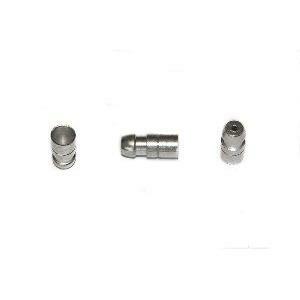 Revington TR information: Bullet terminal tinned brass; intended for both PVC and braided cloth insulated wire. 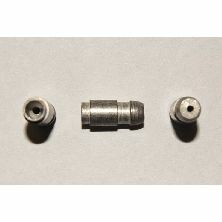 Revington TR information: Bullet terminal tinned brass; intended specifically for PVC insulated wire. 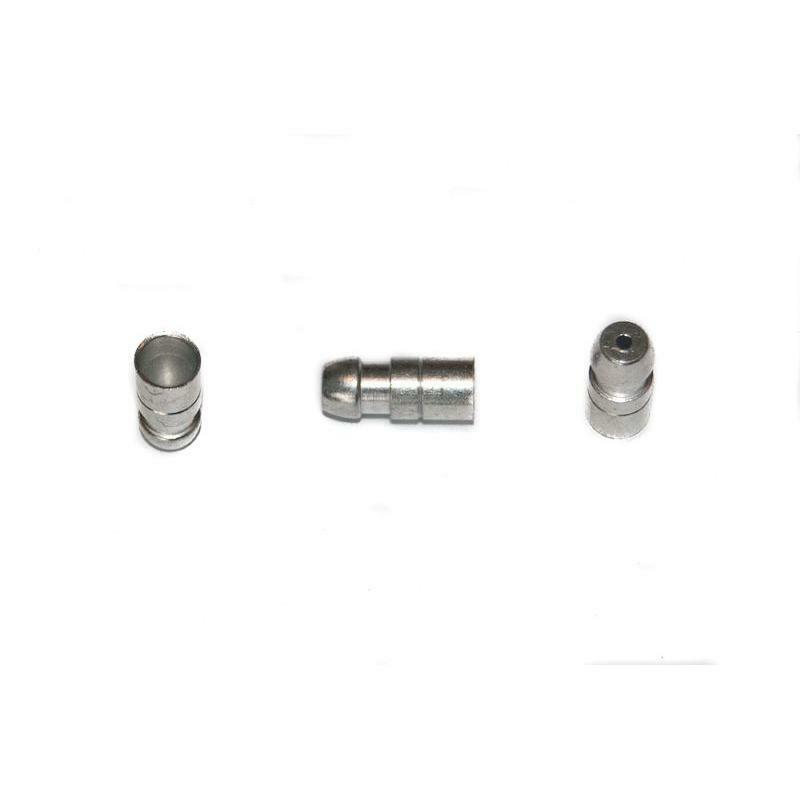 Revington TR information: Bullet terminal brass; intended for both PVC and braided cloth insulated wire. Revington TR information: Bullet terminal push on type for Lucas lamps. This type of terminal is used on Lucas lamps to connect the wires without soldering or crimping.